A comfortable and durable shoe – prepare for some excellent matches ahead. Description - long Stand out on court with the beautiful Leander shoe. The shoe comes in 3 different styles for men, juniors and women. These shoes are super comfortable and durable – prepare for some excellent matches ahead. 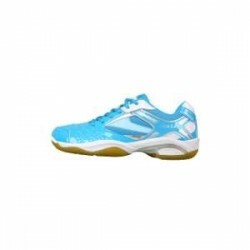 Complete your badminton look with these shoes by choosing the right size for exactly you.